Lately I’ve been listening to Marc Anderson’s, Wild Ambience after stumbling upon the amazing World Sound Map! Traveling without moving. The lush, mystical field recordings take me to distant lands. Lately I’ve been hanging in Indonesia, Borneo, Fiji… I find the bird and insect sounds otherworldly and a HUGE inspiration towards my current work! 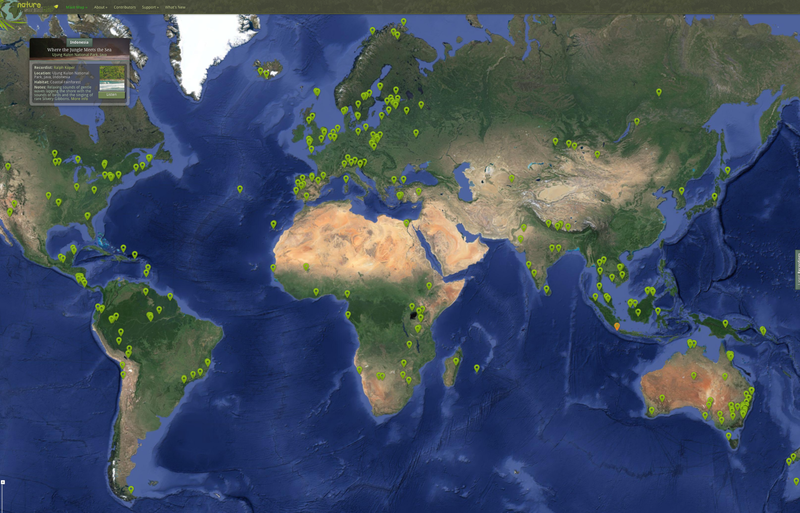 World Sound Map is a collaborative project founded by a group of professional nature recordists. The map combines satellite imagery with high-quality field recordings. Bringing together some of Nature’s most beautiful, interesting and inspiring sounds found on Earth. If you are interested in submitting a recording to the project, please visit their ‘Submissions’ page for guidelines.